Stunning views create a visual masterpiece on your Main and Danube River cruise from the heart of Germany to the Black Sea. Begin in Mainz and sail to visit a charming Main River village, then cruise to Würzburg for a guided tour of the "Pearl of the Romantic Road." 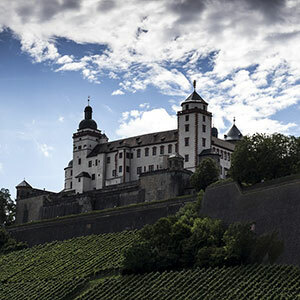 Revel in Bavaria’s largest wine-producing region to visit Kitzingen and the quaint town of Volkach, followed by a visit to Bamberg, the city of seven hills. Take an excursion from Nuremberg to Munich to see Nymphenburg Palace. See the timbered houses of Roth, or tour Nuremberg’s historic sites, including Kaiserburg Castle or the Nuremberg Rally Grounds. Tour Regensburg and see the entrance to its ancient fortress. Tour charming Passau-the "City of Three Rivers," or take an excursion to the Austria’s lovely city of Linz. 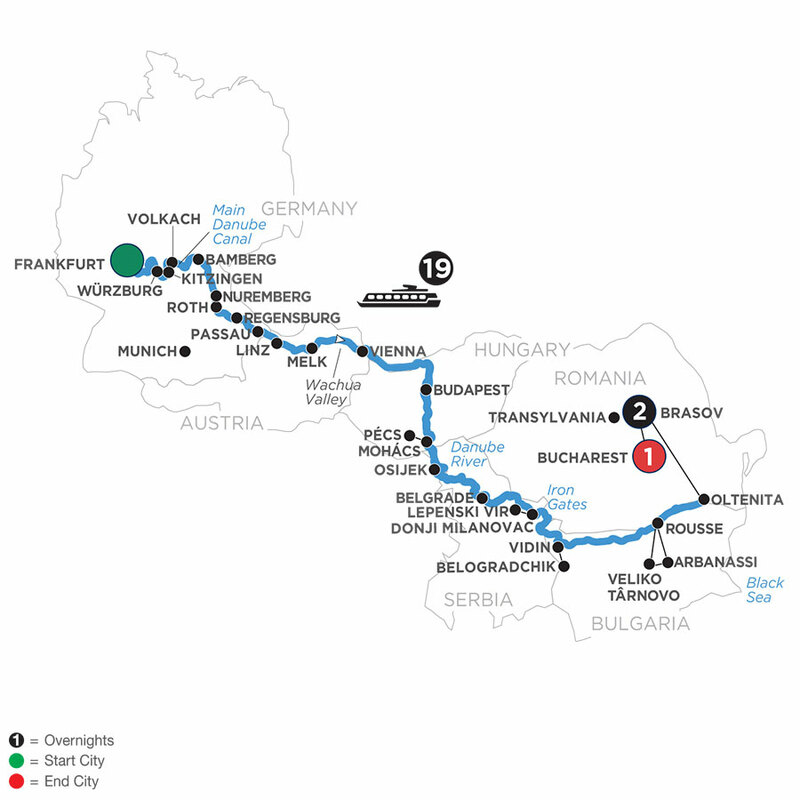 Visit delightful Melk and visit the magnificent Benedictine Abbey above the Wachau Valley. Explore Vienna’s historic Habsburg Empire-including the Imperial Palace, Vienna Opera House, and St. Stephen’s Cathedral. Explore the Hungarian capital of Budapest, followed by visits to historic towns of Mohács and Pécs. The striking landscapes of the Balkans include Osijek with the most preserved Croatian fortress, and Serbia for a guided tour of Belgrade. Next visit Lepenski Vir for a guided tour with ancient archaeological finds before cruising through the narrow Iron Gates Gorge. In Bulgaria’s largest inland port, take a guided sightseeing tour of Rousse, or spend a full day with a guided tour of the Bulgarian capital of Veliko Trnovo. Visit Arbanassi, one of the oldest towns in Bulgaria.